I hate when people pretend that there is one answer or some secret key to success… and they have it. 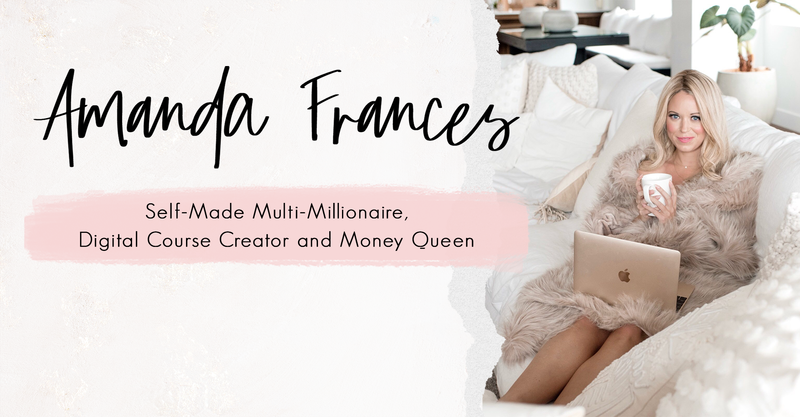 I know a ton of successful women making money by sharing their gifts/hearts with the world — and to tell you the truth — it looks different for each of them. We do what works for us/feels good for us. We do what makes sense to brains and feels good in our bodies. We take action based on what we can get our heart and energy behind. Here’s the truth: You get to decide what works for you. Creating things that I believe are truly helpful. Believing in those things with everything I have. Believing in myself my work. Sharing my message and what I’ve created passionately, on the daily. I simplify it like this: Create. Believe. Sell. And, to tell you the truth, when it looks like it’s not working — I believe in it anyway. That might be the key to success… for me. Next level faith. I believe in it until the whole Universe lines up and I get the results I want. I recorded this video when I was wrapping up my first six figure month. I had been holding space for this goal for a long, long time. I decided in my heart at least 9 months before the Feb 2017 was my first six figure month — and 2017 was my first seven figure year. Now that I’m wrapping up my fourth consecutive six figure month… and ready to go bigger… and I am once again working the process I share in this video. I’m so pumped to share this with you! Watch it here: Do this before you give up on your dreams. My steps to a six figure month. .What do you think? I’d LOVE to hear from you! Leave me your comments/questions below! I am co-hosting a training that I am effing over-the-moon about. It’s called Breaking All the Rules — Building a 7 Figure Business by Doing What you want. And I’m co-hosting it with my friend, Kat Lortozo from Bali. We both run seven figure businesses (Kat is well beyond multi sevens…) What I love about both of us: We did it our way. Unapologetically and with purpose. It will be epic. Want to come? Join us: Break All the Rules + Go Big!